If you like the idea of constantly being thrown into the decision maker’s role, using the case method to navigate real-life business situations, then you may want to consider applying to University of Virginia’s Darden MBA program. Darden is the second-largest case publisher in North America, and because of Darden’s commitment to the case study method, a Darden student will examine over 500 business cases throughout the course of their two-year Darden MBA studies. Darden is particularly proud of its recent significant increase in philanthropic support: it has doubled the available funding for scholarships for students, and even international students qualify for loans in the U.S. – a hurdle that many applicants lacking a U.S.-based cosigner struggle with when accepted to other programs. Many applicants will make the mistake of sweating over their two short Darden application essays and then carelessly completing the rest of the application form. Darden actually has several short answer sections in its online application that provide applicants more room to demonstrate to the admissions committee that they are a great fit with the Darden program. This year, the application offers 20 additional words for applicants’ responses to the short-answer questions, while dividing the long essay into two shorter ones (and cutting 100 words). Note that Darden’s application uses text boxes, allowing only the exact allotted number of words and not even one additional one for each reply. Here are all of the questions that Darden asks in its application, with my tips in blue. In addition, Darden’s admissions team put together several video tips last year for their application. Darden is one of the smaller MBA programs, with 326 students in the class of 2019. That class size means that every single student needs to be congenial: there’s just no room for a jerk at Darden. Moreover, Darden’s case study approach demands that students hail from a wide range of industry backgrounds and experiences to support and enrich the class discussion. Applicants who share an example here of contributing to a personal or professional team – during a difficult situation, through a crisis, or just with a specific set of insights, talents, or personality traits – will be offering the admissions committee the opportunity to truly envision them in a Darden learning team and classroom. This question is slightly rephrased from last year and is now allocated an additional 10 words. Darden has an array of international experiential learning programs and expects every one of its students to take part in at least one global opportunity during their two years in the program. Applicants should identify a location somewhere in the world that excites them and then explain the unique opportunity to learn or make an impact that they envision there. This is a new question this year and reflects Darden’s long-standing emphasis on leadership: 1500 Darden alumni have the title of CEO/Chairman/Founder. In addition to the Leading Organizations core course, Darden offers 11 electives just on the different facets of developing as a leader! Darden is seeking students who have navigated ambiguous situations by working with and managing people. Use this essay to express your purpose – your mission, your value system, your character – and how you have applied your unique leadership style to connect with people from diverse backgrounds, areas of expertise, and opinions. This is another new essay question. Darden is seeking more than a brain on a stick, as Dean Scott Beardsley likes to say. Yes, you have to have strong analytical ability, but you also have to prove your drive for impact. This essay allows you to share an example (just one!) in which you applied your drive – ideally in combination with your analytical and leadership skills – to shape an organization or marketplace. CAR (Challenge-Action-Results) format will help you demonstrate the before and after picture of this situation to prove your impact. This question is exactly the same as last year. You have room here for two small paragraphs to explain your expected path after you graduate from Darden. If your goals are seen as unachievable – for example, investment banking or consulting industry aspirations despite having a low GMAT score, or a pharmaceutical general management ambition despite having no background or education in that field – then you will have weeded yourself out of the class. Darden also has a few fields to which they send most of their students; if you wish to stray greatly from them, you will need to demonstrate your ability to tap your own connections and network to help pave that path – as 14% of 2017 Darden graduates did. Darden’s online application form has no word limit for your job description in the “Where Have You Worked?” section of the application form; a very long 500-word limit to describe each activity in the “What do you do for fun?” professional associations and community activities section; and a 200-word allotment for your College Extracurriculars and Employment description. While I would not recommend detailing every single project you contributed to in these sections, these spaces do certainly allow more detail than many other schools’ applications, which tend to be more parsimonious with their character limits and even the number of activities you can mention in these sections. Darden is clearly seeking active students and wants to hear about all of your passions! I recommend using some of the allotted space to describe your most significant initiatives, roles, and impacts to compensate for the limited essay space. For expert guidance with your UVA Darden MBA application, check out Accepted’s MBA Application Packages, which include comprehensive guidance from an experienced admissions consultant. We’ve helped hundreds of applicants get accepted to UVA Darden’s MBA program and look forward to helping you too! All applications for the full-time MBA are due by 12:00 p.m. EST (noon) on the deadline day. Note: Darden’s new Early Action deadline is not binding (i.e., students accepted in this round are not required to withdraw their applications to other programs). The benefit of this round is that students applying Early Action may schedule their interviews over the summer (mid-July through the end of September) without waiting to be invited. If you have vacation time and plan to be visiting the campus anyway, this is a great option for you. Jennifer Bloom has been an admissions consultant with Accepted for 19 years and is a Certified Professional Resume Writer (CPRW). She is an expert at crafting application materials that truly differentiate you from the rest of the driven applicant pool. If you are looking for an admissions consultant that understands what Virginia Darden is seeking and will guide you with a combination of great personal attention and insight, then you will be happy working with Jennifer. 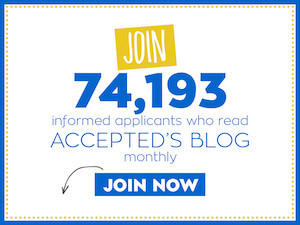 Want Jennifer to help you get accepted? Click here! Last updated on July 12, 2018.